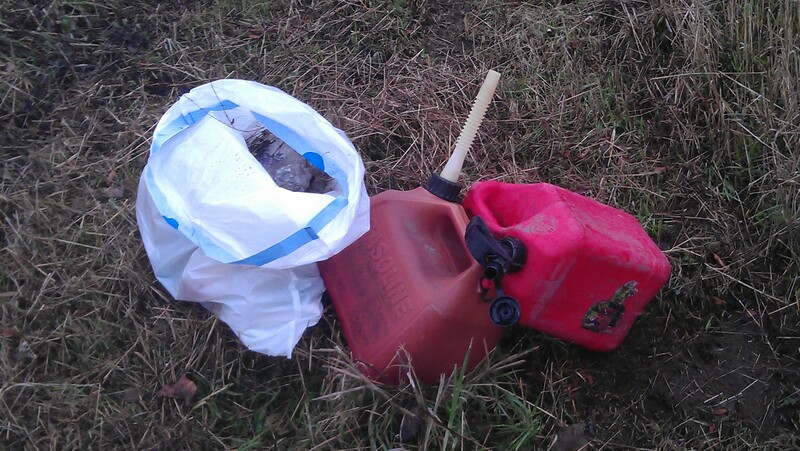 Two empty gas cans lay on the ground. Two empty gas cans from a trip ended. The journey continues. I found them as I picked up a little trash near our house. I don’t know how they got there but we can all probably venture a guess. A gas can is empty at the end of a long trip. It’s a bittersweet time. The trip is done, but the memories remain. It’s exciting to be at the destination, but the anticipation of getting there is gone. My giving trip is complete, but the journey goes on. It’s bittersweet, but I know that instead of arriving at a destination, I’m just fueling up, ready to go again. This next leg of the journey doesn’t have a specific end like this past year’s project did. That’s because I’m not entirely sure where it will lead. Keep giving time everyday, and hopefully writing about it everyday as well. The combination of intention, action and thought is magic. Inspire more people to seek out ways to give more, be kinder and to do it now. Spread the idea that giving time is powerful through speaking and writing. Understand better what prevents people from giving. Help the people who feel they say ‘yes’ too often. My hunch is that they do have time. Finally, I’d like to build a community around ‘giving time’. I’d like to connect it to other communities like Random Acts Of Kindness in a meaningful way. Like all things, it takes more than one person. It takes all of us, giving a little more or a little better. If you don’t know how to start giving your time, just start … today. Find one simple way you can spend a little more time to help someone – a family member, a friend, a neighbor, a co-worker, or a stranger. Something you haven’t done before, or might have to go out of your way a little bit to do. Then do it again tomorrow. Start small and make it grow. Together, we can build something bigger. — A couple of minor details about changes to the posting format. I took the “Post Christmas Resolution” off the post title. I may or may not keep counting the days, but it doesn’t seem useful at this moment. At some point, I’m going to move my writing to what I did “yesterday” so I don’t have to stay up late writing. It’ll give me a chance to reflect on the past days giving more thoughtfully as well. This entry was posted in In the Neighborhood and tagged Community, Inspiration, postaday2011, Trash. Bookmark the permalink.